You’ve never seen – or experienced – a classic cruiser like this. Introducing the new Suzuki Boulevard C109R. 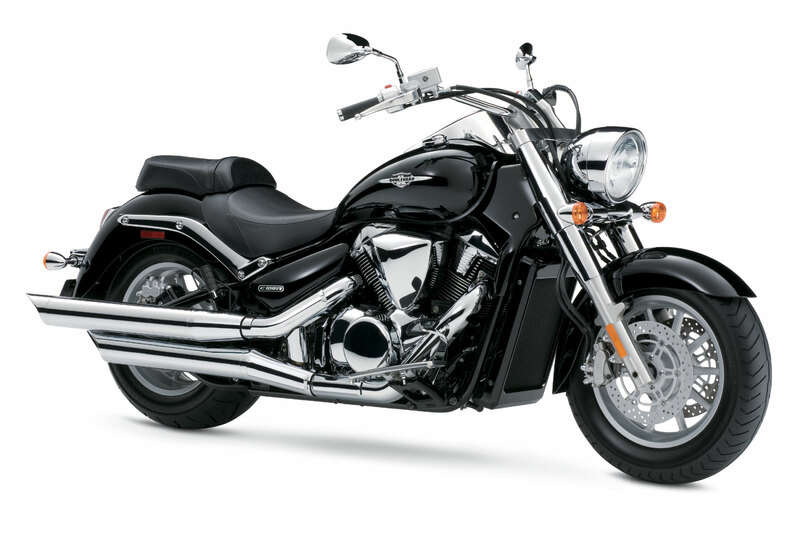 It combines classic cruiser styling with renowned Suzuki V-twin power in such a striking way that it establishes a new standard for the class- and completes the Suzuki Boulevard line of cruisers. The key to the C109R’s performance is its 109-cubic-inch engine with Suzuki fuel injection- the same basic powerplant used by the awesome M109R, which traces its technological heritage to Suzuki’s championship winning GSX-R supersport bikes. One ride on the C109R and you’ll notice that it boasts its own power characteristics, with more torque down low for extraordinary acceleration. The C109R establishes its own identity with its styling. It has pullback handlebars, floorboards that let you kick your feet out, a spacious, relaxed riding position and its own slash-cut mufflers. For maximum open-road comfort, check out the touring version – the C109RT, with a standard windshield, saddlebags and passenger backrest. The new 2008 Boulevard C109R and C109RT: each a king among classic cruisers. Rear brake caliper features a lightweight a pin slide two piston caliper working with a 275mm rear brake disc. New side stand design allows the rider to bring it to the standing position with less effort from the side stand.